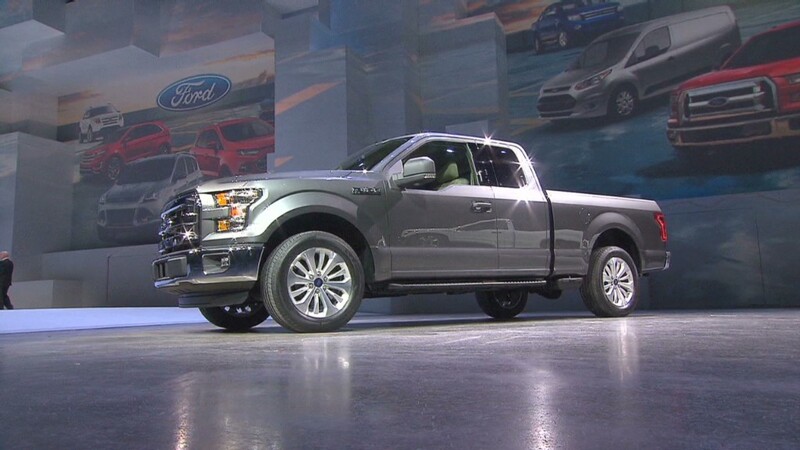 Ford Motor Co. unveiled a new F-150 pick-up at the Detroit auto show Monday, announcing some big changes for one of America's top-selling vehicles. The biggest change is in what it's made of. The 2015 F-150's body is made out of aluminum. Although it is more expensive than steel, aluminum weighs less which can help save fuel. The new F-150 will weigh, altogether, about 700 pounds less than the current model, according to Ford. Also contributing to the weight savings will be a frame made from high-strength steel. These weight reductions will help it be the most efficient F-150 ever, Ford said. Ford (F) did not give any fuel economy estimates in its initial announcement, however. Fuel economy has become a big factor in the intense full-size truck competition. About 40% of F-150 buyers are already choosing a more fuel efficient V6 engine, rather than the traditional V8, according to Ford. One of Ford's V6 offerings is the EcoBoost engine, which provides towing and hauling capabilities similar to the bigger, thirstier V8. Ford's rivals, GM (GM) and Chrysler, have responded with more efficient V8 engines in their full-sized trucks which put them ahead in fuel economy. In a bid to win truck customers that want to save on gas, GM has also introduced two smaller pick-up trucks. On Sunday, GM's new CEO Mary Barra introduced a mid-sized pick-up in Detroit, the GMC Canyon. It is similar to the Colorado, another mid-sized pick-up truck GM introduced in November at the L.A. auto show. Ford's F-150 will be available with a new, smaller 2.7-liter EcoBoost engine that would, presumably, use less gas than the current truck's 3.5-liter EcoBoost engine option. 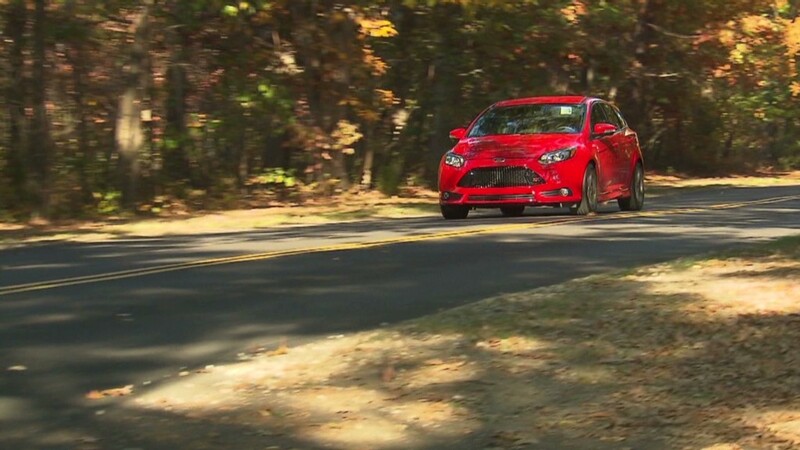 Ford's improvements could erase rivals' fuel economy lead. The new truck's lighter weight, besides saving gas, will allow it to accelerate and stop more quickly as well as tow and haul more. The new body, frame and 2.7-liter engine combination has already been tested in a disguised truck that competed in the Baja 1000 off-road race, successfully completing the jarring course, Ford said. The Ford (F) F-series truck, a line that includes the F-250 and 350 heavy-duty trucks, has been the best-selling vehicle in America every year for over 30 years. It is also the most profitable vehicle in Ford's line-up, so a business strategy to improve sales that could increase production costs is a big gamble. Ford has already warned of a hit to profit margins in 2014, and the new F-150 was called a contributor. Among the other new features on the truck are a tailgate that can be locked, unlocked and released remotely and a camera system that assists in parking by giving the driver a view of the truck as if seen from above.